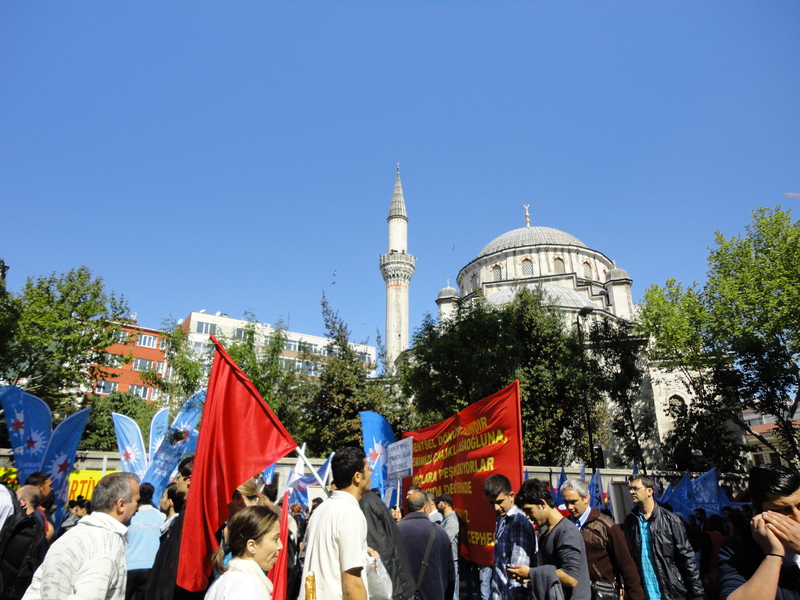 In Turkey in 2014, May Day was an official holiday, and yet demonstrations in Taksim were banned. They had been banned also in 2013. In June of that year, I opined that the banning had contributed to the rage that erupted in the Gezi protests. Why would the government ban demonstrations again this year? The only reasons I can think of are suggested by my title. May Day demonstrations were permitted in 2012, and I remember the day as a joyous occasion. Some photographs of mine should suggest this. Posters around our university building invited us to leave together at two o’clock, to walk to Şişli Meydanı to await the hearse bearing the body of young Berkin Elvan. But for some reason the students left a bit early. Some faculty walked together. It’s a ten-minute walk to Şişli square. Police had blocked a street that ran parallel to the main avenue that we expected to march along. I am not able, and do not attempt, to tell the full story of recent events in Istanbul. My impression is that mainstream foreign media (in English) do a reasonable job at this. It might be emphasized that the first protesters were yoga practitioners and tree huggers. It was police brutalization of them that drew out more violent protesters—as well as people who had never demonstrated in their lives. If the government had allowed May Day demonstrations this year, as last year, then radicals might have blown off some steam then, and the rest might not have happened. But this is just speculation, not meant to belittle the serious grievances that people have with the government. 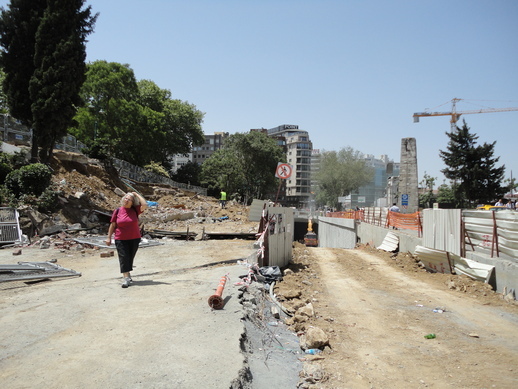 What follows is just a personal account of a walking tour in the vicinity of Taksim Square, June 1, 2013. I made a Google map of the route. 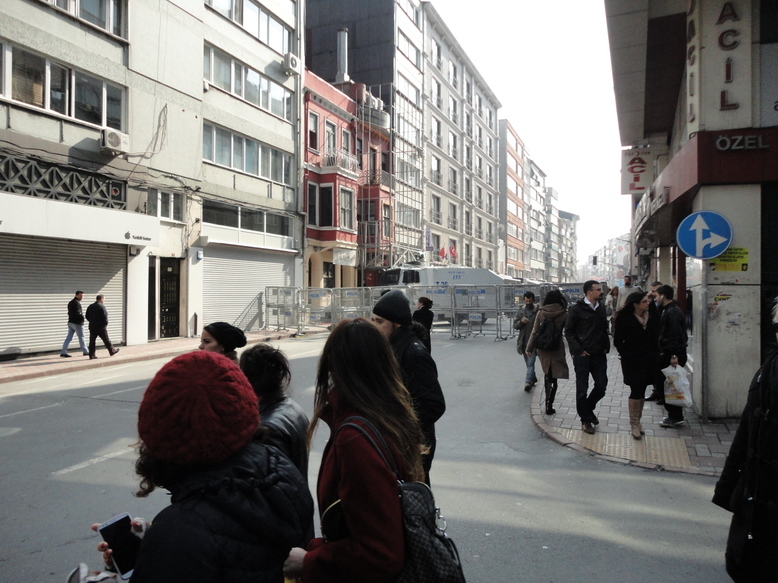 The most interesting experience was seeing plain-clothes police officers retreating from Taksim. The second-most interesting was encountering a wedding of friends of the ruling party, taking place in the gardens of an Ottoman pleasure palace, while police battled protesters about 600 meters away. We were awakened in the night by a strange persistant sound. Was it the creaking of our building in the Next Big Earthquake? No, it was our neighbors beating on pots and pans. 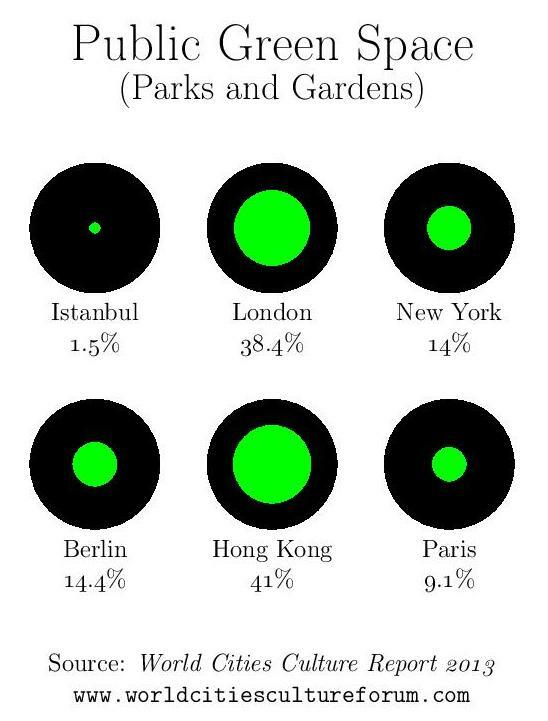 I returned again this afternoon (Friday, May 31, 2013) to Gezi Park, or rather to its vicinity. Since yesterday the police had fenced it off. The police fences can be seen on the left above. I think the woman here was just trying to make her way to Taksim. Presently I noticed that my eyes were stinging. It was the same with other people nearby, even in front of the ritzy Hotel Intercontinental adjacent to the park. Some young men I consulted with there confirmed that the police were using tear gas.